John Daido Loori is an imaginative modernizer yet fierce upholder of the old ways of Zen. John Kain reports from Zen Mountain Monastery in Mt. Tremper, New York. what can we say of it? Forms, created by rock shadows. Nearly forty years later, Daido Roshi—as a respected Zen teacher, accomplished photographer, writer, and avid environmentalist—continues the work of integrating Eastern and Western traditions. His signature talent is bringing ancient Buddhist forms and methods into a contemporary context, without compromising the vitality and veracity of the teachings. 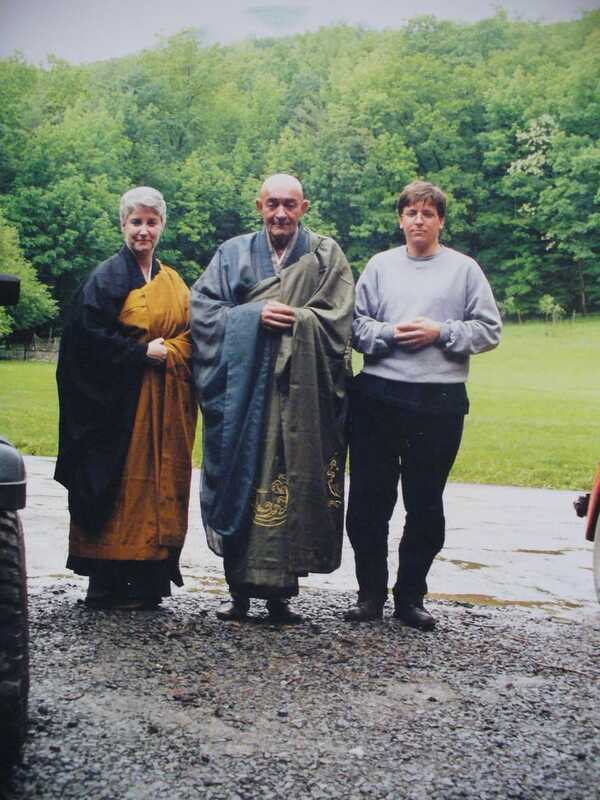 Daido Roshi describes his approach at Zen Mountain Monastery, in Mt. Tremper, New York, as “radical conservatism.” And says, “It goes back to the traditional principles of both Tang Dynasty and Sung Dynasty China, and brings them into play in the context of the twenty-first century.” He has a healthy distrust of our consumer society and is in no hurry to exchange traditional Buddhist values for passing fads. For Daido Roshi, that “doorway” is nothing but the intimacy of our own life. His writings and teachings continually dismantle the illusion of separateness—for him the worlds of art, Zen and nature are an intimate realm of seamless movement. “We must first set down ‘the pack’—the notions and positions that separate us from reality. We must take off the blinders that limit our vision and see for ourselves that originally there are no seams, flaws, organs between us and the whole phenomenal universe,” Daido Roshi writes in the introduction to his book of photographs, Making Love With Light. Daido Roshi’s childhood was a difficult one; at age eight he lost his father and had to navigate the rough streets of Jersey City, New Jersey. These difficulties planted seeds of introspection and spiritual inquiry that would blossom in later years. As well, being born and raised an Italian Roman Catholic gave him a sense of tight-knit community and tradition that have served him well in his role as abbot of Zen Mountain Monastery. At the age of sixteen he forged a birth certificate and joined the navy, returning five years later to enter college on the GI Bill. Trained as a chemist, he worked in the food industry synthesizing natural food flavors into additives, but after 17 years he became “disillusioned by the slippery ethics of his employers” and returned to his first love, photography. Over the years his photographs have appeared in numerous magazines and more than thirty one-man shows. From the late sixties through the early seventies Daido Roshi studied with Soen Roshi, a seminal figure in early American Zen. But it wasn’t until he met Maezumi Roshi—the influential Japanese Zen master who established Zen Center of Los Angeles in 1967—that Daido Roshi found his true teacher. He soon moved to California with his wife and son, immersing himself in the day-to-day duties and practice at Zen Center, eventually receiving dharma transmission (shiho) from Maezumi Roshi in 1986. But he never thought of himself as a natural. “I trust zazen because I was probably the most deluded, confused, angry, anti-religious person you could ever meet. There is no reason in heaven or hell why I should be a Zen teacher, sitting here, talking like this. All I know is I found out about zazen,” he writes in The Heart of Being, his book on the Buddhist precepts. 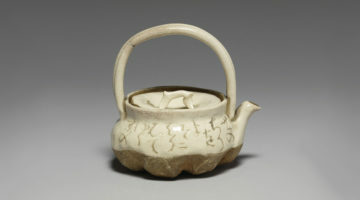 Central to Zen is the “mind-to-mind” transmission of dharma from teacher to student. This intimacy is what keeps the teachings fresh and alive. The lineage of these mind-to-mind encounters can be traced back through successive generations to the Buddha. Daido Roshi likens this process to his own family bloodlines. He elaborated on this when we spoke. Maezumi Roshi, having trained in three Zen lineages (including Rinzai and Soto), brought a sense of experimentation and integration that meshed well with American culture. Daido Roshi continued that spirit when he moved back to the East Coast in 1980 to start Zen Mountain Monastery, borrowing forms and teaching methods from the major schools of Japanese and Chinese Zen—as well as from Christianity—to sew an eclectic fabric of monastic practice. Much of Daido Roshi’s inspiration can be traced back to Dogen, the thirteenth-century Japanese Zen master and philosopher who founded the Soto school. Daido Roshi has incorporated many of Dogen’s monastic training methods into the daily schedule at Zen Mountain, and, like Maezumi Roshi, he has continually used Dogen’s teachings as a model. 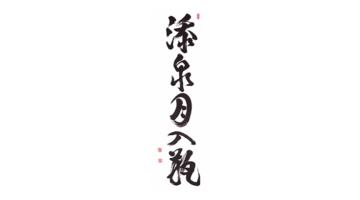 In fact, the Mountains and Rivers Order (Daido Roshi’s umbrella organization) borrows its name from the title of one of Dogen’s sutras. Daido Roshi’s interest in Dogen underscores his scholarly approach to Buddhism. He is working with Kaz Tanahashi to translate Dogen’s classic Three Hundred Koan Shobogenzo, adding contemporary commentary. “It is a landmark in American Zen, what Daido Roshi is doing—bringing forward these thirteenth-century writings and integrating them into a twenty-first century context,” says Tanahashi. Nothing exemplifies Daido Roshi’s vision and personality more than Zen Mountain Monastery itself. What was started as a Zen arts center on borrowed money has grown into a large, thriving community of both monastic and lay practitioners, with affiliated centers in the United States, Europe and New Zealand. The 260-acre monastery is in the heart of the Catskill Mountains, on a site that seems plucked from a twelfth-century Chinese scroll painting. The large, stone main building sits on a bluff above the confluence of two rivers. Tremper Mountain rises behind in a curve of hardwoods and pine, a large garden overflows with flowers and vegetables, and the surface of a pond ripples in the wind. But any sense that Zen Mountain is held in antiquity is dispelled as soon as the doors open. The question is not, “What do they do?” but rather, “What don’t they do?” Besides the daily monastic schedule there are numerous (nearly every weekend) art, body, academic and wilderness retreats, as well as week-long sesshins (meditation intensives) held every month. Zen Mountain’s prison outreach program, started in 1984, was the first of its kind, and its Zen Environmental Studies Center has been a model for other organizations for many years. Under the auspices of Dharma Communications (the cornerstone of the lay outreach program), the monastery runs a store; produces books, audio tapes and videos; publishes a quarterly journal (The Mountain Record), and offers an extensive web site. In continuing his integration of ancient and modern, Daido Roshi has not been shy in testing the use of computers, particularly via the Internet, to help spread the dharma. To keep the training matrix running smoothly there’s a very particular set of monastic rules and regulations and a strict schedule. Daido Roshi has been up front about what he expects from practitioners and has put into place a stringent code of conduct. All of this, Daido Roshi readily admits, could not be done without a dedicated group of monastics and lay people who work and practice side by side. This includes Daido Roshi’s two dharma heirs, who have been strong innovators in their own right. Bonnie Myotai Treace has started Fire Lotus Temple, a lay practice center in downtown Brooklyn that brings the Eight Gates into the lives of city dwellers and offers a number of neighborhood social action programs. Geoffrey Shugen Arnold is the central figure behind the monastery’s prison outreach program. “Daido Roshi has been, like Gary Snyder, in the forefront of Buddhist environmental ethics. Not only is he a leading Zen master but he’s a naturalist as well and brings to the table a sophisticated sensibility of ecosystems and responsible land management,” says Mary Evelyn Tucker, co-editor of Buddhism and Ecology and Worldviews and Ecology. Zen Mountain offers numerous wilderness retreats, has created an Environmental Studies Site on the monastery grounds, and has formed “The Green Dragons”—a watchdog group for the local watershed. It has also recently obtained acreage in the Adirondack Wilderness Preserve that will be home base for the newly formed Zen Environmental Studies Institute—a broad membership program (open to the public) that will include a sophisticated web site, education on Buddhist ecology, environmental monitoring, and watershed analysis. Underlying all that the Mountains and Rivers Order encompasses—the numerous programs, the monastic schedule, lay practice outreach, the prison program, the art and environmental retreats—is Daido Roshi’s simple trust in an ancient, vital, open-hearted, yet difficult process. “The attainment of our true nature is something no one can give us; each person has to do it alone,” he says. “Zen wasn’t invented yesterday. It is not a fad. It is simple and direct and very difficult. It challenges us to be with ourselves, to study the self, to forget the self and to be one with the ten thousand things. John Kain is a freelance writer and poet from New York.